Have you been experiencing speedometer problems for a while now, and pushing aside getting it done because you don’t want to spend the big bucks for such a minor issue? What if I told you that there is a company that can perform all the repairs you need and still keep you from losing a ton of money? Well, there is a company like that. It goes by the name of Safety Restore. Safety Restore is a small, family-owned business that specializes in repairing any and all speedometer problems that its customers come beckoning with. It has seen everything from broken car odometers, gas gauges that work only intermittently, faulty temperature gauges, oil gauges that give wrong readings, stuck tachometer gauges, and speedometer gauges that just don’t function properly. Each customer that has sent in their instrument cluster for repair has received it back and had it work practically like new again! You and your speedometer can be added to the list. If you want to get rid of those speedometer problems, all you have to do is log onto safetyrestore.com. 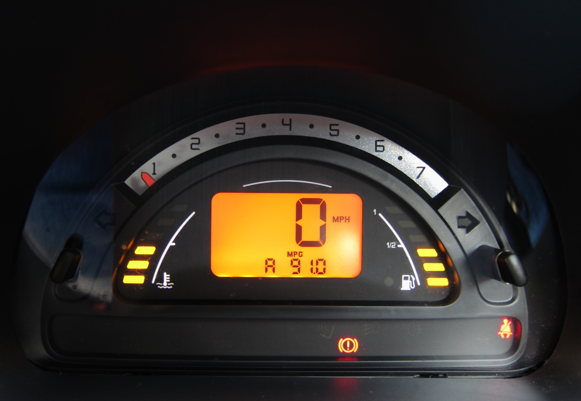 There, you can select and pre-pay for the instrument cluster gauges repair service. Once payment has been processed, you can then disassemble your speedometer and ship it out to Safety Restore in Westfield, MA. There is a detailed instruction manual on the website describing the removal process if you are having any difficulties. Also, Safety Restore has additional assistance only a phone call, chat line, or email away! Once Safety Restore receives your unit, it will take just 24 hours or less for the repairs to be completed. Your speedometer problems will be fixed and your unit will be restored to factory condition. What’s also great is that you’ll be left with a lifetime warranty on the service. If by any chance you need to send your speedometer in for rework in the future, you will not have to pay the additional fees for it! 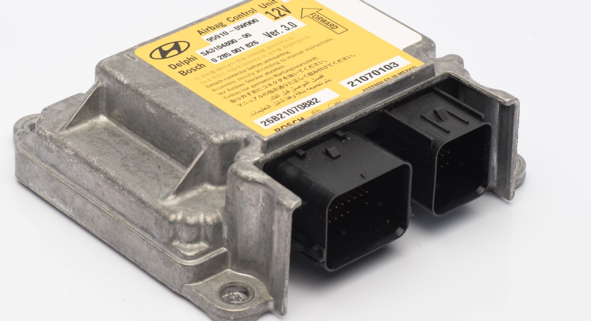 You may know by now that after a vehicle has been involved in a crash and the airbags have deployed, the SRS airbag module has stored crash data and hard codes. You may also already know that nothing but purchasing a brand new module or having the module reset manually can restore it to its original condition. However, you may not actually know the step-by-step instructions on fixing the airbag module. Read below to find out. 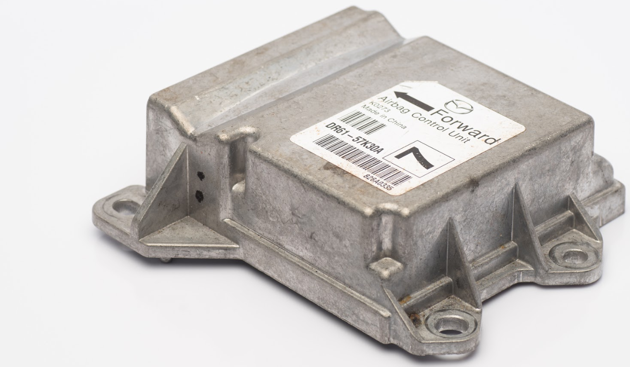 To fix your SRS airbag module and restore it to factory condition, you first want to locate the unit in your vehicle. Generally, airbag modules are found below the driver or front passenger seat. Sometimes, though, they can be found below the radio, behind the steering wheel, in the center console, or in the kick panel. The next step before disassembly would be to disconnect your battery. Make sure to disconnect the negative first followed by the positive and let the backups drain. Then, move your steering wheel and take out all the hardware on your driver airbag module. Disconnect the wiring and horn wiring, the grounding strap, radio wires, and the airbag connectors. If deployment has caused the connectors to be melted down, cut the wires that lead up to the coil. The clock spring will need to be replaced. Then, remove the computer. Open it up and look for the 8-pin SMD EEPROM chip. Solder some 32-gauge hookup wire to connect the SRS airbag module to a serial port EEPROM reader. The crash data can then be analyzed using specific software. There are several software you can purchase to fulfill this step. You should replace all the values from the crashed chip with the values on the virgin chip. Rewrite it into your computer so that the hard codes can be wiped out. After all of that is set, you can replace the module back into your car. When reinstalling the unit back into your car, make sure to disconnect the battery like you had initially done. To ensure that you followed the steps correctly, check to see that your SRS light turns off. You can also check your car’s tech-stream software to make sure that there aren’t any more hard codes or faults present. As you can see, the process can be quite tricky but nonetheless still doable. If you feel that you cannot fulfill these steps alone, or do not have the proper tools and software to do so, turn to the company Safety Restore. Safety Restore specializes in restoring SRS airbag modules back to factory condition. You may find yourself looking to get a cluster rebuild for any number of reasons. Perhaps your speedometer gauge is getting stuck, or your tachometer gauge needs rebuilding. Your problem may lie in your oil gauge giving you a wrong reading, or perhaps your temperature gauge only working intermittently. Or, it may be with the gas gauge or car odometer that you are having issues. Whatever the problem, or problems, may be—the company Safety Restore can help! Before you turn away thinking Safety Restore is just like the dealership or other companies you have heard of, let me explain just how much it isn’t. As a matter of fact, Safety Restore cannot stand apart any more for a number of reasons. To begin with is the price point of its services. Rather than the hundreds to thousands of dollars that dealerships and other companies charge, Safety Restore strives to maintain an affordable price point that anyone can access. Its cluster rebuild service comes out to just $118.99! Plus, the low prices at Safety Restore come with a lifetime warranty. Not many companies or even dealerships offer that! It is also important for customers to note that the money spent for these services go to a small family-owned business rather than to fuel a large corporation. The quality at Safety Restore is just as desirable as the prices are. The company continues to employ only experienced engineers and makes sure that all repairs are completed using 100% OEM parts and industry standard tools. Also, Safety Restore always meets FMVSS standards and is BBB accredited. Another reason why Safety Restore is different from other companies is that it has high expertise in cluster rebuilding. The company has been specializing in this service for years now, and has dealt with all types of gauge-related issues. Therefore, it can assist its customers with them and will not turn them down for certain issues, like other companies do. So make the wise choice and get your cluster rebuild at Safety Restore today! 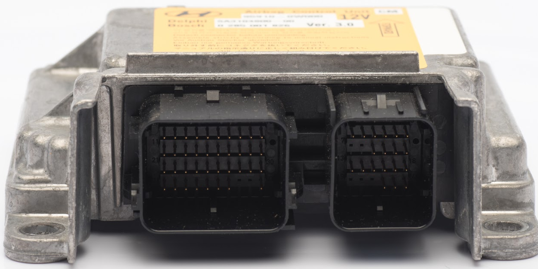 If you have a vehicle with a faulty SRS airbag module, you might know that it needs to be replaced. You may be thinking that you do not have enough money to buy a totally new SRS unit at the dealer. Lucky for you, that is okay. There are plenty of instructions online detailing how you can remove the unit from your vehicle and reset it back to factory condition yourself! You just need to have the proper tools and software to do so. Let me fill you in on the process. First, you should remove the unit from your vehicle. Most likely, it is located underneath the driver seat or the front passenger seat. You can then begin disassembly of the module. You should open up the module and search for the 8-pin SMD EEPROM chip. This is what stores all the crash data. You then need to solder some 32-gauge hookup wire to connect the airbag module to a serial port EEPROM reader. After that, you can analyze the crash data. Different types of software are available to read the EEPROM chip, but all essentially do the same job. At last, you can finally replace the airbag module computer. Replace all the values from the crashed chip with the ones from the virgin chip and rewrite it into the computer. That way, the hard codes that were present can be cleared. The final step would be to replace the module into your car and check if you were able to successfully reset it. Within 6 seconds, your SRS light should go off. Your vehicle’s tech-stream software can also be checked to see that there are no more codes or faults present. Of course, if the entire process seems too difficult, or you do not want to risk doing the job improperly, you can send it in to a company that specializes in just that. A perfect example of such a company is Safety Restore. Visit safetyrestore.com and purchase the SRS airbag module reset service for a very affordable price. Can you reset the airbag module? Wondering if can you reset the airbag module? The airbag module is a key component of a vehicle. It controls the supplemental restraint system in your car including the airbag sensors, seat belt pre-tensioners, and the inflators. In addition, it acts as a storage box for hard codes and crash data when your vehicle is involved in a collision. When a vehicle is involved in a crash that deploys the airbags, crash data and hard codes are automatically stored in the unit. Only a reset or buying a brand new unit will allow a driver to have a properly functioning airbag module. Many people choose to purchase a new module at the dealer, but this comes with a hefty price tag. Others choose to reset it at home. You certainly can remove the SRS airbag module from your vehicle and reset the unit to factory settings, you just need to have the right tools and follow the steps correctly in order to succeed in resetting it properly. 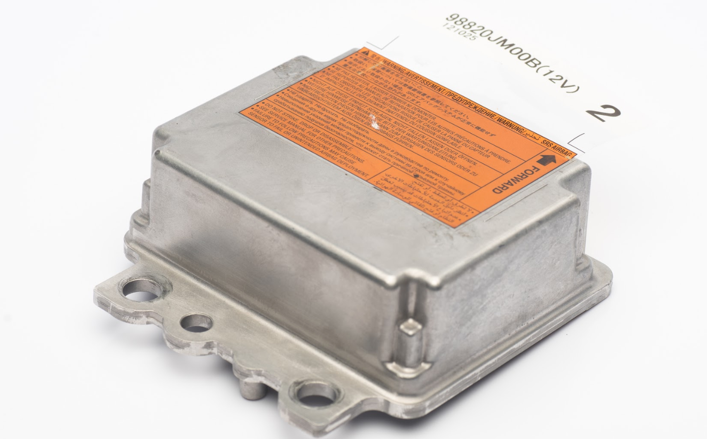 To begin the process, you need to remove the SRS airbag module from your vehicle. Generally, it can be found underneath the driver’s seat but sometimes its location varies to underneath the front passenger seat, in the center console, kick panel, behind the steering wheel, or under the radio. To access the module, the bottom half needs to be removed. After it has been removed, the disassembly process can begin. When you open up the unit you need to look for the 8-pin SMD EEPROM chip that stores all the crash data. You should then solder some 32-gauge hookup wire to connect the unit to a serial port EEPROM reader. The next step would be to analyze the crash data. There are different types of software available that can read from the EEPROM chip. After analyzing, you can finally replace the airbag computer. Replace all the values from the crashed chip with those from the virgin chip and rewrite it into the computer so that the hard codes can be cleared. The final step would be to place the unit back into your vehicle and check if the reset was a success. Within just 6 seconds, your SRS light should go off. You can also check with your vehicle’s tech-stream software to see that there aren’t any faults or codes present. Of course, if you do not want to purchase the tools and software necessary for the reset and still risk not having it reset properly, there is another alternative. You can turn to the company Safety Restore for a guaranteed reset. Video – Can you reset the airbag module? Automotive speedometer repair is just one of the many services that we offer here at Safety Restore. Whether you are experiencing issues with your tachometer, odometer, speedometer, oil, transmission, temperature, or fuel gauge—we can help! It doesn’t matter if your gauges are giving you a wrong reading, only working intermittently, getting stuck, fluttering, or downright have stopped working! We have seen it all and are able to fix it! All you have to do is visit our website safetyrestore.com and select the service for automotive speedometer repair. We have directions posted describing how you can easily remove the unit from your vehicle and ship it out to us. If you need any further assistance, don’t hesitate to contact us through instant chat, phone, or email—we’d be happy to help! When mailing out, you can use any mailing carrier you prefer. After you have successfully shipped out your unit, you can leave the rest to us. 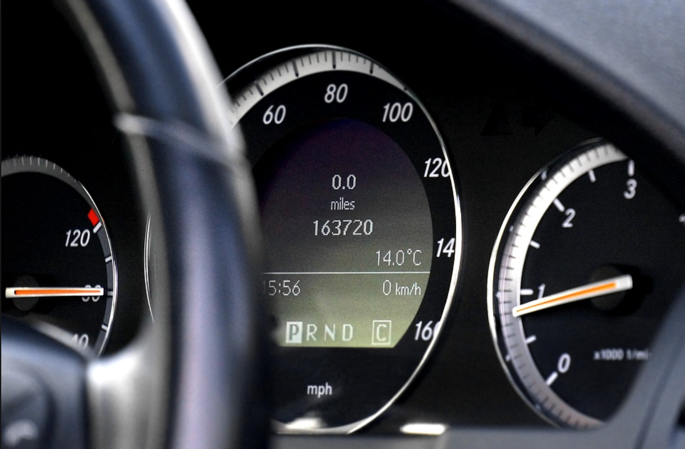 To perform the automotive speedometer repair for you, we have a qualified staff of experienced engineers. All the necessary repairs will be performed using industry standard tools and 100% OEM parts. We are also a BBB accredited company and follow FMVSS standards, so you can be sure of receiving quality work! Fortunately for you, it should take us only 24 hours to complete the repairs and restore your automotive speedometer to factory settings. That time frame still applies, even if you send in a large order or difficult speedometers. In no time, you will be out on the road again with a properly functioning speedometer. An added bonus you will get from us is a lifetime warranty. If anything were to happen to your instrument cluster in the future, you would have the opportunity to send it back in for no additional cost! Many people search and search to find a good speedometer repair shop only to be disappointed in the high prices at the dealer or the underwhelming quality of a local auto shop. If you can relate to this, know that this can stop after learning about the company Safety Restore. Safety Restore is a small, family-owned speedometer repair shop that puts quality as its number one priority. Even though it is a small business, it has garnered quite a lot of positive reviews on all of its platforms—raving about its accomplishments. Safety Restore certainly does have a lot of things going for it, which has customers staying with the company for life. To start with, and as was already mentioned, Safety Restore strives to put out quality product. It accomplishes this by only employing highly trained and experienced engineers to perform the repairs. Also, Safety Restore ensures that the repairs are completed using 100% OEM parts and industry standard tools. Furthermore, the company is BBB accredited and always meets or exceeds FMVSS standards. The next best thing going for the company is its great prices. Compared to getting the same repairs at the dealer, customers can save hundreds or even thousands of dollars when turning to Safety Restore. For example, speedometer repair comes in at only $118.99! It also comes with a lifetime warranty attached! Finally, customers keep choosing Safety Restore as their preferred speedometer repair shop because of its wide range of expertise and the way it makes the entire speedometer repair process quick and simple! The company takes only 24 hours to perform all the repairs and specializes in fixing any and all gauge-related issues on a speedometer. This includes the gas, temperature, oil, tachometer, and odometer gauge—and everything in between! Also, for additional customer support, the company offers detailed instructions on how they can remove their speedometer from their vehicle before sending it in, plus several professionals that are only a chat, email, or phone call away from helping out. There are many places that you can get an instrument cluster repair service, but none of them compare to getting the job done at Safety Restore. Safety Restore is a small family owned business that has perfected its instrument cluster repair service to a T. The company specializes in repairing any and all gauge-related problems you can think of or are experiencing! This includes the tachometer, oil, temperature, odometer, and speedometer gauges, and applies to completely broken, sticking, fluttering, or intermittently working gauges. 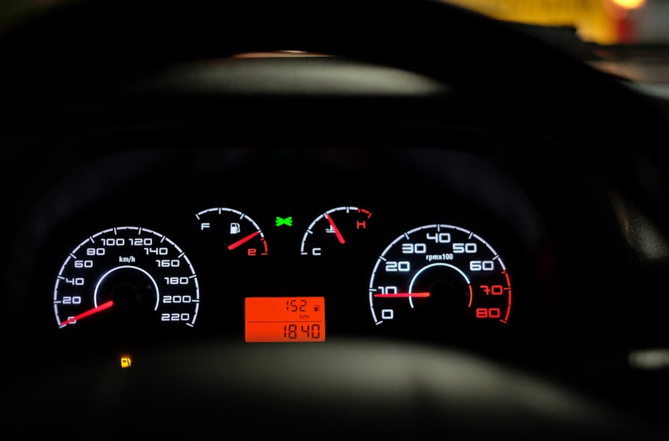 When Safety Restore performs its instrument cluster repair service, it takes a customer’s faulty instrument cluster and restores it to factory settings. The great thing about choosing Safety Restore for your instrument cluster repair service is that you will always get quality service for an affordable price. For a speedometer repair you will only owe the company $118.99, which is up to $600 less than you’d pay elsewhere. Even for this price, your quality will not be compromised, as the company only employs skilled engineers to do the work. Paired with the trained engineers, Safety Restore also ensures the use of 100% OEM parts and industry standard tools. They have also achieved BBB accreditation and always make sure to meet or exceed FMVSS standards. If you are interested in getting your instrument cluster repair service here, the process is quite simple. All you really need to do is log onto safetyrestore.com and pre-pay for the service. On the same website you can follow the detailed instructions provided on removing the unit from your vehicle. Once removed, you can ship out the speedometer to Safety Restore in Westfield, MA using any preferred carrier. In just 24 hours of receiving your package, all repairs will be completed and you will receive your speedometer back! You’ll also be left with a lifetime warranty on the service! Among the many different speedometer repair companies, you will never get the same quality work and prices as you would at Safety Restore. Safety Restore is the number one out of all speedometer repair companies for a number of reasons. Let me tell you just a few. First, Safety Restore has a ton of expertise in speedometer repair. As a matter of fact, the company only specializes in a few services, so you know that each one has achieved perfection. The company has been operating for years now, too, and has had quite some time to build its expertise—unlike other new automotive shops. Safety Restore repairs all types of gauge-related problems including sticking, fluttering, intermittently working, incorrectly reading, and even utterly broken gauges. 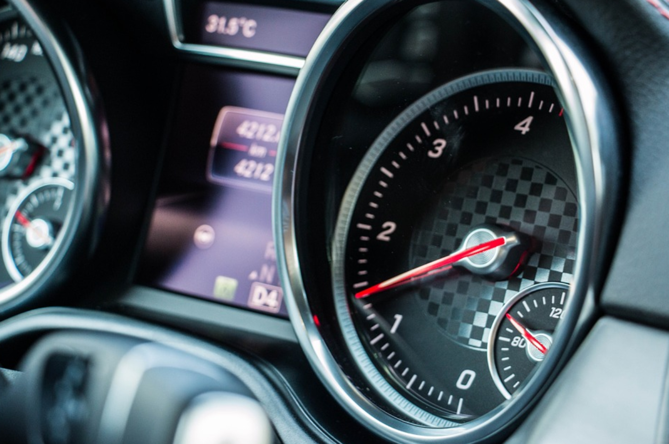 The company has worked to restore speedometer, gas, temperature, odometer, and tachometer gauges—sometimes with customers having issues with all of the above! Another thing that sets Safety Restore apart from other speedometer repair companies is its very fair pricing. For speedometer repair, only $118.99 is charged. That is up to $600 less than what other companies and dealerships charge! It is also important to keep in mind that Safety Restore is a small, family-owned business so the meager amount of money you are already spending would help a family rather than a large corporation. To further satisfy customers and ensure quality, Safety Restore employs only highly experienced engineers who use industry standard tools and 100% OEM parts in the repair process. FMVSS standards are always made sure to be met or even exceeded too. To get your speedometer repaired, simply log onto safetyrestore.com and pre-pay for the service. Then, remove the unit from your vehicle and ship it out to Safety Restore in Westfield, MA. If you have any difficulties when removing the speedometer from your vehicle, you can read the step-by-step instructions posted on the website. Also, Safety Restore is always just a chat, email, or phone call away!